Grayson Kesterson (Williamsburg) 49-1, Jr. over Jarod Kadel (Columbus Community) 42-8, So. (Dec 4-0). Will Esmoil (West Liberty) 43-6, Fr. over Andrew Flora (ADM) 48-7, So. (Dec 5-3). Carter Weeks (Vinton-Shellsburg) 37-9, Jr. over Brock Beck (Grinnell) 43-9, Fr. (Dec 5-0). Jack Thomsen (Union) 37-5, Fr. 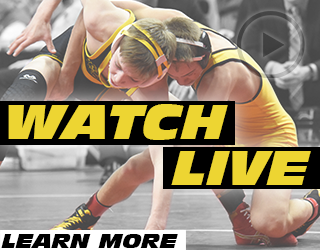 over Bryce Hatten (Winterset) 32-11, Fr. (Dec 11-7). Aden Reeves (Albia) 52-1, So. over Drake Doolittle (Webster City) 43-3, So. (Dec 8-7). Eric Faught (Clear Lake) 42-3, So. over Kaleb Olejniczak (Perry) 54-6, So. (MD 14-2). Chase Luensman (Monticello) 32-5, So. over Ashton Meyers (Keokuk) 30-5, Sr. (Dec 9-2). Hunter Pfantz (West Marshall) 34-12, Jr. over Caleb Fuessley (Center Point-Urbana) 42-6, So. (SV-1 9-7). Bryce West (Solon) 54-1, Sr. over Blake Steege (Denver-Tripoli) 27-3, Jr. (MD 15-5). Zachary Thompson (Perry) 52-6, Jr. over Shea Ruffridge (Pocahontas Area) 41-5, Jr. (Dec 3-1). Carter Cox (Atlantic-CAM) 52-5, Sr. over Nick Meling (East Marshall/GMG) 44-7, Sr. (Dec 5-3). Kayden Kauzlarich (Centerville) 44-8, Fr. over Sage Walker (Eddyville-Blakesburg-Fremont) 46-10, Fr. (Dec 5-3). Michael Millage (New Hampton) 24-1, Jr. over Drew West (Solon) 54-2, Sr. (Dec 3-2). Riley Wright (Denver-Tripoli) 49-5, So. over Gabe Ruepke (Chariton) 54-6, Jr. (Dec 5-1). Dante Tacchia (Iowa Falls-Alden) 42-3, Sr. over Kyle Anderson (Washington) 41-10, Sr. (Dec 5-0). Brady Fritz (South Tama County) 45-7, Jr. over Sean Casey (Assumption) 40-10, Sr. (SV-1 7-5). Matt Robertson (Assumption) 43-1, Jr. over Brant O`Shea (Keokuk) 40-2, Sr. (Dec 3-2). Brayden Curry (Sergeant Bluff-Luton) 52-4, Sr. over Gable Sieperda (Central Lyon/George-Little Rock) 38-4, Jr. (Dec 5-2). Ryan Steffen (Crestwood) 45-9, Jr. over Noah Fye (New Hampton) 51-8, Jr. (MD 8-0). 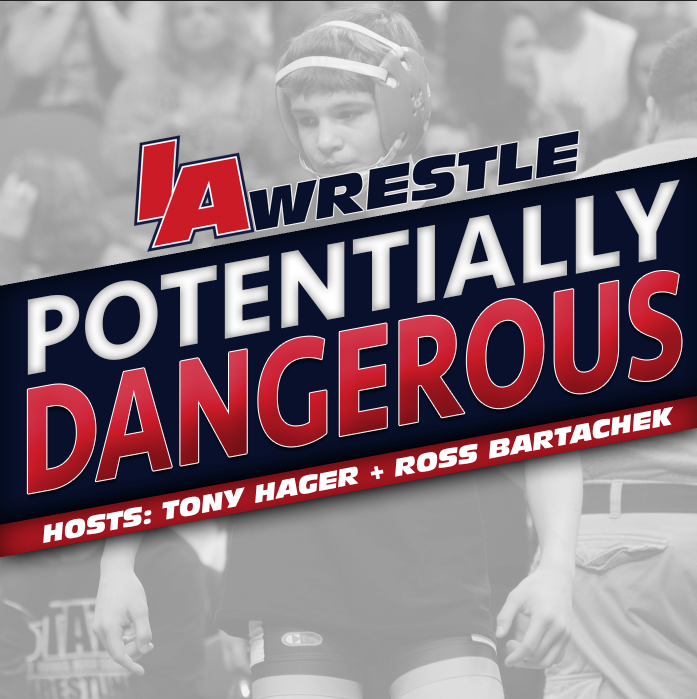 Jarrett Miller (Ballard) 38-10, Jr. over Alex Hanna (Eddyville-Blakesburg-Fremont) 47-10, Jr. (MD 12-1). Keaton Geerts (New Hampton) 57-1, Sr. over Skyler Noftsger (Ballard) 45-5, So. (Dec 6-2). Ben Carr (Solon) 42-9, Sr. over Tanner Abbas (Clarion-Goldfield-Dows) 43-6, Jr. (Fall 2:25). Colton Vest (South Tama County) 47-3, Jr. over Nate Thoms (Camanche) 44-6, Sr. (Dec 7-2). Austin Rozeboom (Rock Valley (Boyden-Hull/RV)) 36-3, Jr. over Jake Recker (Beckman Catholic) 38-9, Jr. (Dec 4-1). 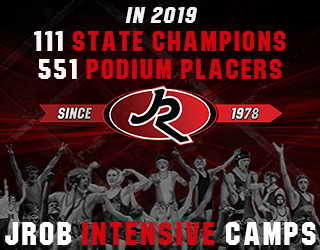 Ryan Leisure (Clear Lake) 39-0, Sr. over Xavier Miller (PCM) 48-3, Sr. (Dec 5-0). Mitchel Mangold (West Delaware) 44-7, So. over Matt Stines (Cherokee, Washington) 41-12, Sr. (Dec 5-2). Mitchel Swank (Creston/O-M) 51-10, Jr. over Austin Hazelett (Washington) 27-8, Sr. (Dec 6-3). Tate Battani (Ballard) 34-12, Jr. over Paul Ryan (Mount Vernon) 37-12, So. (Dec 5-3). Isaac Judge (South Tama County) 46-4, Jr. over Trey Van Weelden (Washington) 29-6, Sr. (Dec 7-0). Joe Kelly (West Liberty) 43-3, Jr. over John Tuttle (Spirit Lake Park) 39-6, Sr. (Fall 2:58). Cael Krueger (Denver-Tripoli) 50-5, So. over Trae Pecinovsky (Crestwood) 45-12, Sr. (Fall 1:53). Kade Kelso (Central Decatur) 54-4, Sr. over Cody Feldman (Beckman Catholic) 36-13, Sr. (Fall 3:18). Julien Broderson (Assumption) 43-2, So. over Ryan Gorman (New Hampton) 55-4, Sr. (Dec 4-2). Kolton Bartow (Wahlert) 31-11, Jr. over Thomas Bentley (Red Oak) 46-10, So. (Dec 6-4). Lucas Roland (PCM) 36-4, So. over Trevor Nelson (Solon) 41-9, Sr. (Fall 1:32). Tristin Westphal-Edwards (Washington) 42-7, So. over Kyle Sinnott (Albia) 26-13, Sr. (Dec 8-1). Brock Jennings (Osage) 56-2, Sr. over Kyler Fisher (Southeast Valley) 48-4, So. (Fall 1:43). Michael Kent (Iowa Falls-Alden) 39-6, Sr. over Jacob Wingert (Harlan) 36-12, Sr. (Dec 9-5). Tucker Morrison (Columbus Community) 48-4, Sr. over Noah Glaser (New Hampton) 52-11, Jr. (Dec 4-2). Drake Roller (Atlantic-CAM) 50-6, Sr. over Brock Timmons (Assumption) 39-14, Sr. (Fall 5:09). Chase Shiltz (Creston/O-M) 56-0, Sr. over Ben Lee (Ballard) 41-10, Jr. (MD 11-3). Boone McDermott (Wahlert) 35-6, Jr. over Visouth Peterschmidt (Mid-Prairie) 44-5, Sr. (Fall 1:18). Nick Foss (Harlan) 41-10, Jr. over Tanner Vermaas (Woodward-Granger) 48-5, Sr. (Dec 6-4). Luke Jenness (Sheldon-South O`Brien) 37-7, So. over Kyle Benson (Sergeant Bluff-Luton) 48-10, Sr. (Fall 1:22). Bryce Esmoil (West Liberty) 42-2, Jr. over Cody Fisher (Woodward-Granger) 46-6, Fr. (TF-1.5 3:45 (15-0)). Jackson Mikkelsen (Creston/O-M) 48-10, Sr. over Matthew Landsperger (Knoxville) 22-8, Jr. (Dec 3-2). Zac Stork (Atlantic-CAM) 44-9, Sr. over Sam Moore (Mount Vernon) 30-9, Sr. (Dec 5-4). Seth Moore (Ballard) 36-5, Sr. over Caleb Olson (Webster City) 24-9, So. (Fall 1:27). Jordan Baumler (North Fayette Valley) 29-4, Jr. over Kadon Hulett (Creston/O-M) 54-3, Sr. (Dec 6-5). Noah Broderson (Assumption) 40-4, Sr. over Blade Durbala (Benton Community) 46-5, Sr. (Fall 1:56). Caleb Ring (Osage) 42-3, Sr. over Dakoda Powell (Spirit Lake Park) 41-5, So. (Fall 3:59). 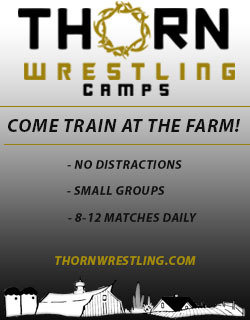 Nick Smith (Central DeWitt) 40-9, Jr. over Noah Hopp (New Hampton) 43-17, Sr. (Dec 5-4). Tristan Wirfs (Mount Vernon) 21-3, Sr. over John McConkey (Atlantic-CAM) 53-4, Jr. (Dec 3-2). Spencer Trenary (Clarion-Goldfield-Dows) 17-1, So. over Ethan Lape (North Fayette Valley) 33-4, Sr. (Dec 4-2). Tyler Linderbaum (Solon) 53-10, Jr. over Brendon Lunsford (Fairfield) 34-10, Jr. (Dec 1-0). Elijah Van`t Hof (Sioux Center) 40-5, Sr. over Nic Hoefling (Spencer) 36-7, Sr. (Dec 3-2).